The integration of substance use, medical, and mental healthcare are very important in improving health outcomes as people living with a serious mental illness have 3.5 times higher rates of emergency room visits, four times the rate of primary care visits, and five times the rate of specialist visits. 45.6 million American adults suffer from a mental illness, 11.5 million of whom have a serious mental illness as people living with a serious mental illness are nearly three times more likely to have diabetes and three times more likely to have chronic respiratory disease, compared to the general population. Goldstein Research analyst forecast the Behavioral Health Software Market size is set to reach USD 2.35 billion by 2024, at a CAGR of 13.49% over the forecast years. The report covers the present ground scenario and the future growth prospects of the Behavioral/Mental Health Software Market for 2016-2024, along with the number of patient base and number of software installed per facility. We calculated the market size and revenue share on the basis of revenue generated from major players in Behavioral/Mental Health Software Market across the globe. Behavioral/Mental Health Software Market Outlook 2016-2024, has been prepared based on an in-depth market analysis from industry experts. The report covers the competitive landscape and current position of major players in the global Behavioral/Mental Health Software Market. The report also includes porter’s five force model, SWOT analysis, company profiling, business strategies of market players and their business models. Global market report also recognizes value chain analysis to understand the cost differentiation to provide competitive advantage to the existing and new entry players. 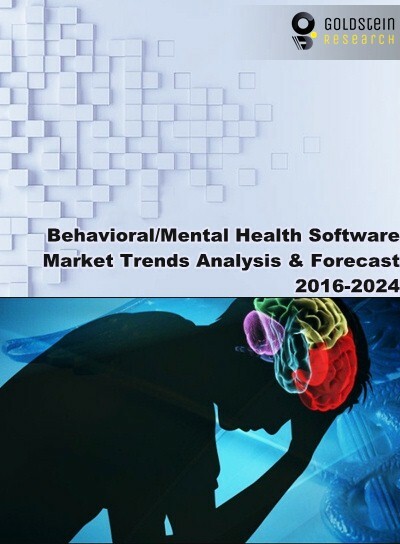 Our global Behavioral/Mental Health Software Market report comprises of the following companies as the key players in the Behavioral/Mental Health Software Market: Epic Systems Corporation, McKesson Corporation, Cerner Corporation, MindLinc, Allscripts,The Echo Group, Netsmart Technologies Inc., Qualifacts Systems Inc., Practice Fusion, General Electric Company, eClinicalWorks, Core Solutions Inc., Welligent Inc., and Valant Inc. According to the report, major driving factor for expansion of Behavioral/Mental Health Software Market is the adoption of e-mental health services. For instance, Canada often finds it difficult to get mental health services. E-mental health makes sense, with nearly 80 percent of Canada’s population having online access. Further, the report states that the major challenge in Behavioral/Mental Health Software Market is eMH services have a place in the health system, but their potential has not been realized and there has been fragmentation in funding and therefore implementation. There is a need to provide access points in multiple (health and non-health) settings, to integrate across providers and with face-to-face health systems, in order to offer tailored responses. Based on geography, North America dominate the Behavioral/Mental Health Software Market with 47.2% market share while APAC hold the promising future potential for this market and tends to grow at a CAGR of 13.98% over the forecast period. Countries such as Canada, China and India hold the opportunities in Behavioral/Mental Health Software Market due to increasing patient base seeking behavioral services, growing product innovation and increasing number of mergers and acquisitions. What is the penetration power of Behavioral/Mental Health Software Market in various corporate sectors in 2015-16 and what would be the expected demand over the forecast period?